If you live for "quesaritos" and "Zebra Mochas," this is your one-stop shop for photos, descriptions, recipes, prices, and more. 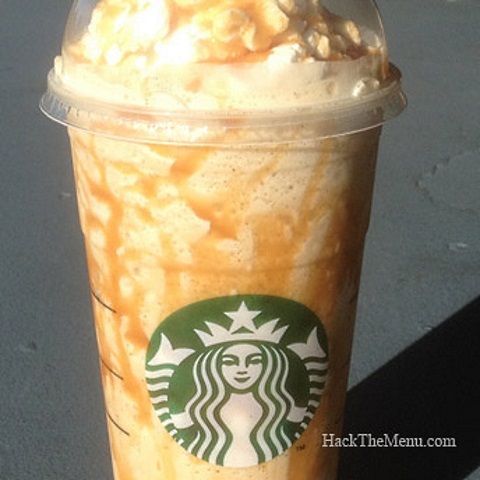 If your dream in life is to wash down a Taco Bell Incredible Hulk with a Starbucks Butterbeer Frappuccino—you know, for balance—then #HackTheMenu is the one-stop secret menu resource for you. We’ve all seen occasional secret menu items pop up for various chains. But #HackTheMenu’s purpose is bringing all that information together into one place. At first glance, the site appears to be pretty thorough. #HackTheMenu doesn’t stop with descriptions; there are also nice, clear photos to offer visual proof of these chain-restaurant white whales. Furthermore, there are tips on how to order so you don’t thoroughly confuse chain employees who may never have heard of these obscure menu items before. There are also recipes, so you can go to a place that’s used to doing super-custom orders—like, say, Starbucks—and get exactly what you want. 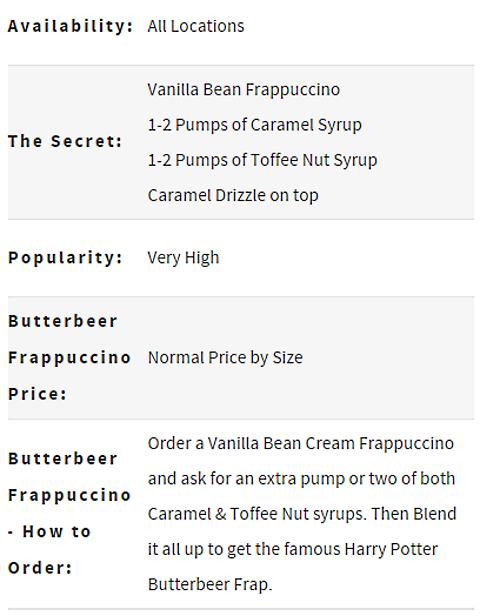 Maybe you have your reasons for not wanting the word “Butterbeer” to pass your lips. We get you. It’s cool. If you still want the drink, just follow the instructions under “How To Order.” A barista in the know might wink at you, but that’s okay. As always, common courtesy is key. Whether you subscribe to the notion that “secret menus” are always legit, or you think that these are all fan-made (or even bored employee-made) creations that just got out of hand and became ridiculously popular—ultimately, there’s only one thing to remember when you order. Chains work efficiently because they have standardized menu items that are made the same way every time. When you ask for a secret menu item, you’re asking that employee to do something non-standard. That’s not a bad thing, but it’s basically asking for a favor—even though you’re paying for it. So be nice, and save it for off-peak hours. If you’re polite to that employee, you’re more likely to get exactly what you want—and maybe even find out about some cool new secret menu item that even #HackTheMenu doesn’t know about yet.